Founded by Malcolm L. Chartier in 1954 in Fair Haven, M.L. Chartier, Inc. operated with the principle that still drives the company today — to provide turnkey operations at a fair price while maintaining superior quality and safety. This family owned and operated company has continued to provide unmatched services to a variety of industries for more than 60 years. The company began with construction of roadways, culverts, and sewer systems and in the late 1950s, began working in the oil fields. As the utilities’ needs for new office areas and workstations grew, the company expanded its scope of services to include building demolition, land clearing, and building containment structures. In the 1980s, M.L. Chartier, Inc. expanded into the environmental industry performing lagoon closures, tank removals, and containment soil excavation. Today, M.L. 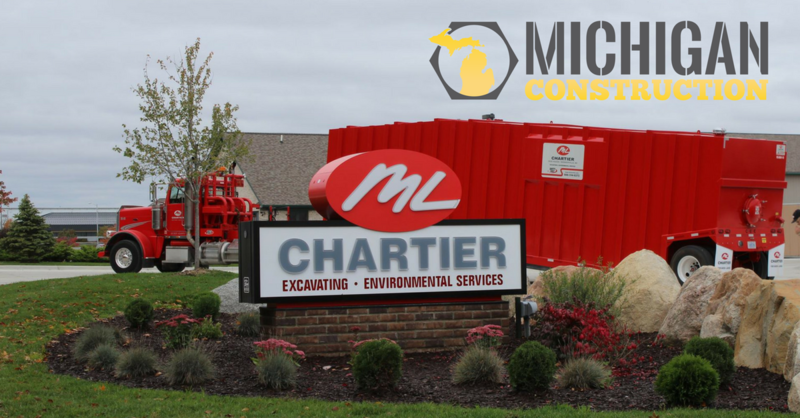 Chartier’s client base extends to engineering firms, government and private companies as it continues to grow and expand as Michigan’s safest excavation and environmental company. A new location in Webberville near Lansing helped it reach an entirely new client base. Customers in central and western Michigan now have more resources, and M.L. Chartier’s HAZMAT Team can respond to any and all emergency situations in a prompt manner, no matter the location. Complete turnkey environmental services include licensed hazardous waste hauling (liquid or solid) with stainless and mild steel tankers; UST and AST removal from 500 to 50,000 gallons; decontamination, turnkey excavation, transportation, disposal and site restoration; excavation, transportation, and disposal of hazardous and non-hazardous materials; confined space entry and rescue; excavation of PCB, MGP, crude oil and petroleum contaminated soils; and concrete slurry management. Specialists are 40-hour HAZWOPER and eight-hour refresher certified; the company is preapproved at disposal facilities; and has OSHA Level A capabilities. M.L. Chartier is MDOT prequalified for Ea, G, I, K, and N2 classifications and provides site stripping, excavation, embankment, and grading; lagoon remediation and closure; storm sewer, culvert, sanitary sewer, and water main installation; parking lot grading and construction; foundation excavation and grading; sheet piling installation and extraction; concrete and asphalt pavement removal and disposal; concrete curb and gutter removal and disposa; and road reconstruction, restoration and widening. The company also provides land clearing and grubbing services with 24-hour emergency response and site preparation. M.L. Chartier maintains a full fleet of tankers, trailers and other specialized equipment including stainless-steel tankers; lead dumps; roll-off trucks and trailers; winch trucks; lowboys; drop-deck rolling tailboards; and cement bulk tankers. M.L. Chartier provides a highly safe approach to facility decommissioning including building and equipment dismantling; site preparation; selective demolition; industrial and commercial strip-outs; total cleaning and site remediation; asset recovery; asbestos, lead and mold abatement; and land clearing and grubbing. Turnkey services include excavation and site work/access roads; tank battery site development and restoration; vacuum trucks and tankers from 70- to 110-bbl capacity; reserve pit clean-up and removal; drilling mud solidification and transportation to disposal; fresh and brine water transportation; and half tanks from 100- to 350-bbl capacities. M.L. Chartier’s oil and gas transmission services include valve replacement and exposure excavation via hydro excavation; pipeline repair excavation via hydro excavation; pipeline removal, facility demolition and decommissioning; refinery and storage facility excavation and site work; 24-hour response for petroleum leaks; and access road construction. M.L. Chartier’s is the largest hydro excavation company in Michigan with capabilities including vacuuming up any material (wet or dry) including clay, topsoil, rock, pea stone, sand, drill mud, etc. ; on-board 12-cubic-yard debris box, and 1,200-gallon water tank; up to 300 feet reaching circumference without loss of vacuum capacity; hot water burner on each truck for winter conditions; eight-inch vacuum hose with a 25-foot extendable boom and 320-degree rotation; excellently maintained fleet. Specialized work includes slot trenching; potholing and day lighting; telephone pole holes; light bases; valve exposure; and utility location. M.L. Chartier also rents a full fleet of equipment for a variety of remediation and transportation projects. Now in its seventh decade of service, M.L. Chartier is looking for the best and brightest to join their team. To find out more about jobs at M.L. Chartier, click below. M. L. Chartier is building a better Michigan in more ways than one: as a partner with Michigan Construction, they are helping to change the way that people connect with jobs in construction.